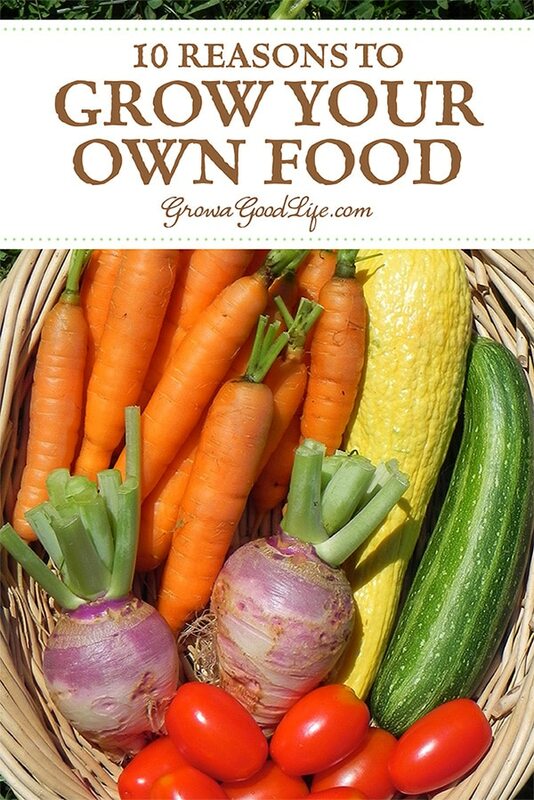 Do you ever wonder whether growing your own food is worth the time and effort? Here are some benefits to growing your own organic food for you, your family, and the environment. The first question that came to mind was, “Why was my grocery store selling spinach from California when it grows quite well here in New England?” Even though I was likely to purchase produce in season, I just didn’t realize that most of it was shipped three thousand miles across the country. Call me naive, but I believed that all food was grown locally, and brand names had regional plants across the country that packaged the foods to sell in our grocery stores. This was an eye-opening experience for me. I wondered what else didn’t I know? I had a little garden at the time, and I planted plenty of basic summer crops for fresh eating, but the news of contaminated spinach urged me to learn more about growing different crops. I began to look at everything I purchased from the produce department and wondered if I could grow it in the garden. I also began to shop at local farm stands and farmers’ markets during the warmer months. There is nothing like biting into a fresh ripe tomato plucked from the vine. Or snacking on string beans as you putter through the garden. Flavor is just one of the pleasures you can enjoy when you grow your own food. Many of the varieties of fruits and vegetables sold in grocery stores are adapted for commercial farming. Through selecting and breeding specific traits, these strains are developed to produce more per plant, be ready for harvesting all at once, have a longer shelf life, be uniform size and shape, ship without bruising, and often times finish ripening on trucks during shipping. 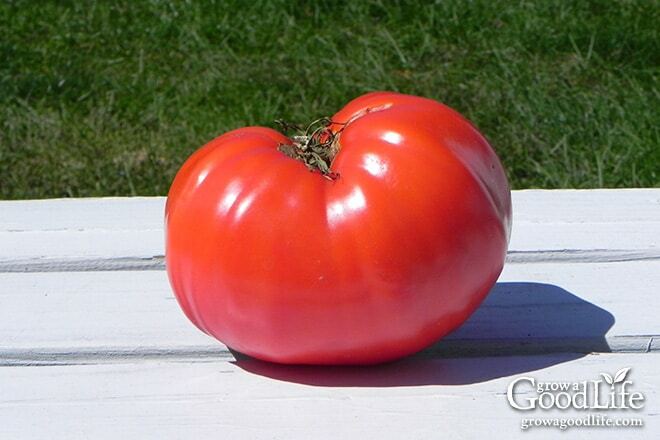 Even when you purchase organic vegetables, this breeding can compromise flavor. The taste and texture of a grocery store tomato cannot compare to one that is freshly picked from a plant growing in your own garden. Growing from quality transplants from your local nursery or starting your own seedlings under lights allows you to select from so many different varieties that offer greater flavor and texture than what is available in the grocery stores. You can choose from hundreds of varieties based on flavor, shape, and color. When you grow your own, you can select varieties that are adapted to your growing area or mature in a short period. Each year, The Environmental Working Group releases its Dirty Dozen™ list. This list includes the top twelve USDA tested produce with the highest pesticide loads. Vegetables on the list in 2017 include, celery, spinach, potatoes, peppers, and tomatoes. (Source: EWG) These are some of the easiest garden vegetables to grow in your own backyard garden without using pesticides. E. coli, Salmonella, and Listeria are the most common food borne outbreaks that affect fruits and vegetables in multiple states. At the time of writing this article, the CDC was investigating Listeria contaminated packaged salads and cucumbers tainted with Salmonella. (Source: CDC) There is no need to worry when you grow your own salad vegetables. Tending to your garden and growing your own food will teach you to eat in season when flavors and nutrients are at peak. When you have a lot of harvests to use up, you tend to eat more vegetables and think of creative ways to prepare them so nothing goes to waste. Since they are harvested fresh, the natural flavors of the vegetables shine and do not need additional oils, salt, or other additives to make them taste good. Fruits and vegetables that ripen naturally in the garden and are consumed within days of harvest have more nutrients than store-bought vegetables. Most of the vegetables that line the grocery store produce section are picked early, shipped to warehouses, distributed to the stores, and stay in storage or on the shelf for a while until you purchase them. Over time, the nutritional value of fruits and vegetables declines. Not only do freshly picked fruits and vegetables taste better, but they also have a higher nutritional value. During the growing season, gardening gets you out in the fresh air and sunshine regularly. There are a lot of different movements in gardening that require strength or stretching. Digging, planting, weeding, and other repetitive tasks are excellent forms of low-impact exercise. Did you know that 45 minutes of gardening burns the same amount of calories as running 1.5 miles in 15 minutes? (Source: NHLBI) Regular physical activity can help you feel better and improve your well-being because it relieves stress, boosts energy and releases tension. None of the fruits and vegetables harvested on our property go to waste. We make every effort to eat or preserve all the food harvested from the garden. Whatever scraps or trimmings we don’t consume is either fed to our hens or added to the compost bin to be returned to the garden again as nutrients. We also give away excess harvests if we are unable to use it. When you grow your own vegetables, you understand the value more clearly. Many will challenge that gardening actually saves money. When the garden bug hits, it is easy to find yourself purchasing cute pots, plant stakes, and gardening gadgets on the market. If you stick to the basics, gardening really doesn’t cost much in supplies in comparison to the amount of food it produces. Even if you grow a small garden for fresh eating, you will save money. For example, a package of organic salad greens cost at least $5 at my local grocery store and is usually only enough for a few servings. 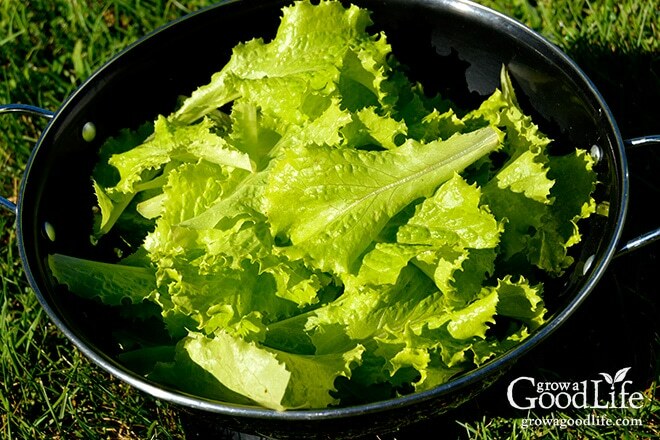 If you grow your own from a package of good-quality organic seeds, it costs half that and produces for a longer period of time yielding about 6 pounds of salad greens. Growing your own food garden contributes to your food security by providing direct access to food that can be harvested, prepared and fed to your family daily during the growing season. If you learn how to preserve your harvest, you will be able to stock your Pantry and feed your family even when the growing season is over. Planting a seed, watching it sprout and grow to produce food for you, and your family is one of the most gratifying feelings. Sure, many of us work hard to earn a living and provide for our family, but the close association of this simple effort and direct reward is fulfilling. I love the feeling of pride as I look over a meal I prepared with vegetables from my garden. I revel in the sensation of accomplishment as I stock our cellar with potatoes, onions, garlic, other storage crops and canned goods to get us through the winter. 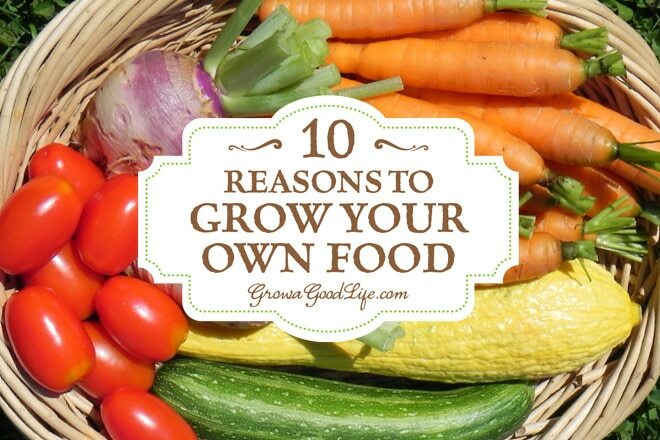 You don’t need a lot of land or gardening experience to benefit from growing your own food. You can start out with just a few herbs on your windowsill, a simple container of salad greens on the porch, or you could even try gardening in containers along your walkway. Gardens do not have to be big in order to be beneficial. Choose a small area that receives at least six hours of sunlight each day and has access to water. 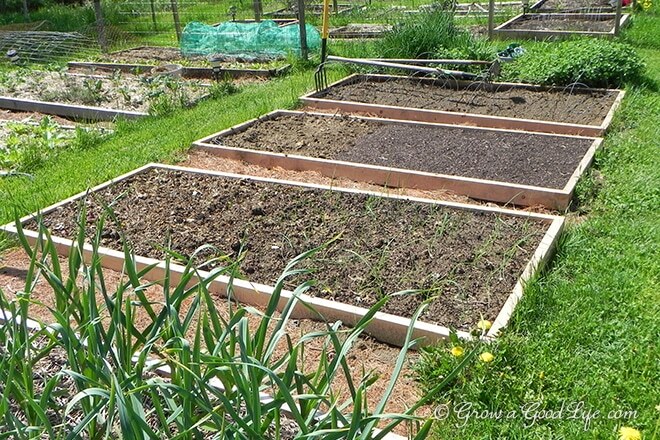 Build a few raised beds and plant the foods you like to eat. Expand a little each year and experiment with growing different crops. You will quickly gain knowledge and learn how to take care of your garden plants, and they will reward you with great-tasting food. If you live in an area that makes gardening outside impossible, or if you are physically limited, consider growing an indoor garden. There are many things you can grow indoors under the right lighting or even near a sunny window. If you don’t have space for a garden at home, a community garden is another option. You can find one in your community through the American Community Gardening Association. As you can see, the rewards for the effort of growing your own food are impressive. So what are you waiting for? Start planning your garden today! Do you grow a food garden? If so, what inspired you to grow your own food? Love the site, very helpful info! We’re recently gotten into organic gardening for the better quality food, access to different varieties, and to just encourage us to eat better! I even track our progress on my own blog. Hope it can also help some people out there, maybe encourage some of the newer gardeners! Sheila, Sometimes growing your own food feels like growing money. It is very rewarding. It sound like you are on you way to a wonderful gardening year. My friend, Kris also gardens in Hawaii and blogs at Attainable Sustainable (http://www.attainable-sustainable.net/). Thanks so much for sharing on #LetsGetRealSocial blog link. I love this post. I am getting the garden but although we have to wait 2 months yet. Thanks for the inspiration. I will be featuring your post on this week’s link party. Growing our own organic vegetables, herbs and fruits is so important. Whether we grow food outdoors or indoors, making the effort to grow some of our food is the best way to control the quality of what we eat. Thank you for sharing the benefits of growing our own organic food at the Healthy Happy Green & Natural Party. I’m pinning and sharing. I agree with every reason! This year will be my first year to have a full size garden, and I am so excited to try canning and other ways of preserving vegetables! We are trying our hand at growing enough green beans to last all year, along with enough tomatoes to make tomato sauce and paste for a few months. Thank you for sharing! This is such great information Rachel. Thanks so much for sharing it over at Let’s Get Real. I appreciate the gardening tips also. My property is very small, but I always find the room for tomatoes and fresh herbs. Nothing beats the flavor and the ease. Rather than running to the grocery store for those items, I just step out the door. I can’t wait to start working in the dirt again. Great information! Thanks for sharing on the Homestead Blog Hop at essentialhomestead.com. Perfect motivation and just in time for spring planting! So many good points, these are all the reasons I love gardening. I can’t wait to get planting in the spring and start harvesting in the summer. It’s the worst in the late fall when I have to go back to the grocery store and spend too much money on bland, chemical-laden produce. Great reasons! We love our year round garden too! We couldn’t afford to buy organic anyways so this is the cheapest way to get the healthiest food! Thank you for sharing this on the Art of Home-Making Mondays at Strangers & Pilgrims on Earth! These are all of the reasons I grow my own veggies! I never liked peas or tomatoes until I ate my own, because the ones you buy at the grocery store are so watery and mealy and gross! I love sharing vine-ripened tomatoes with my step-daughter. She appreciates her veggies so much more watching them grow and going out and harvesting them herself. This is a great post! I have gardened these past two years but have been limited to my small townhouse yard. This year, we just moved into a house and I can’t wait to have more space to have a garden! I feel the same way! I love the produce from our garden and I feel so safe and secure serving it to my family. Thanks for sharing all these great tips. Thank you for your article! I absolutely agree on all of these points especially saving money and food safety. For example, in my 3×5′ salad greens section of the garden last year we grew/ate/gave away over 66 bags of greens. With the variety of greens grown in that bed (including asian greens and arugula), I estimated our grocery store’s organic produce would have cost $300+. So, compared to the cost of a couple seed packets that’s a very good return. Even taking in the cost of building raised beds, composting, various bells and whistles, gardener’s time…that is still a good return. We anticipate our garden structures will last 15-20 years, so the cost of building a garden averaged out over that time still says: growing your own food will save you money. A LOT of money. Even if we need to replace some raised-bed boards somewhere in that time. Happy Gardening! Thank you for your comment, Julia. I feel we are kindred spirits in our zeal to grow our own food. Gardening is a very rewarding hobby in so many ways. Plus it pays us back with healthy food. I’ve always wanted to keep track of how much I produce and how much I’ve saved by growing my own veggies. I’m definitely going to keep track this summer, especially considering the rising cost of food at the grocery store!